Here’s a standard USB webcam sitting on top of 30 meters of USB extension cables (three 10 meter cables). Three cables daisy chained together with the webcam attached to the end seems to be the functional limit. Adding a 4th 10-meter cable results in the camera not being recognized. 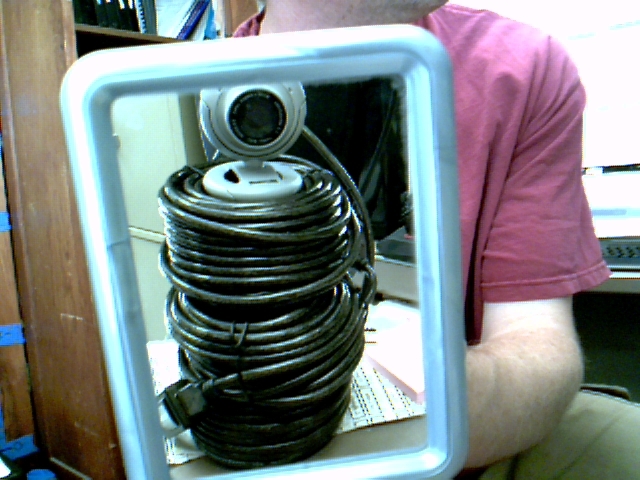 30 meters of cable powering a USB webcam, which is taking its self-portrait in the mirror.